A colourful note: peach is a delicate colour, named after the pale internal flesh of a peach fruit. The first recorded use of this name as a colour in English was in 1588. This shade appeared as a Crayola crayon in 1903, known as Flesh, but it was renamed as Peach in 1962, probably for social reasons. It has been a popular colour for interior design, making a strong appearance in Art Deco buildings in the 1920s and 1930s, and it was a very popular shade for bathroom suites when I was buying my first house in the mid-1980s. It is an important colour in Chinese culture, where the Peach Tree of Immortality, which blooms only once every 3,000 years, is an important concept in the mythology of the Taoist religion. Thank you for the great mention. Very kind of you. 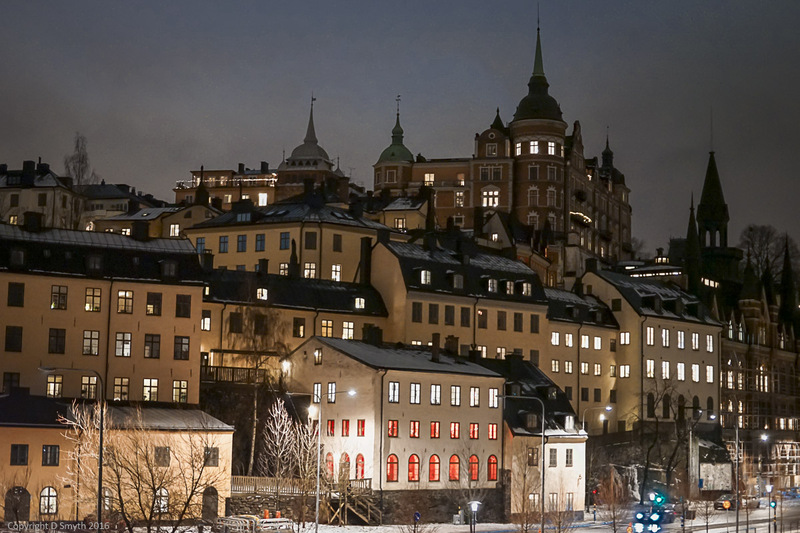 Beautiful photo of Stockholm Debbie.